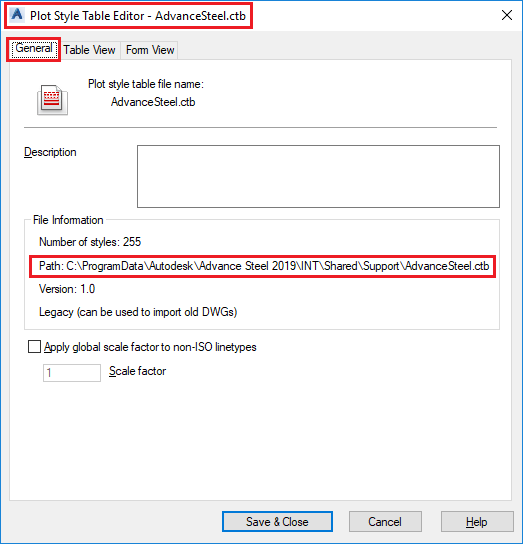 When plotting an Advance Steel drawing, it is important to know that you can set up how each line is printed independently, through the mapping rules contained in the .ctb file. Advance Steel controls which colors are used to display the elements in a drawing, but not the line weight. 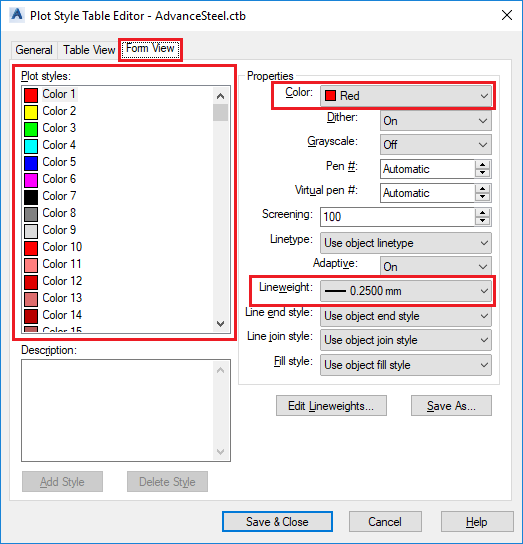 This is where the .ctb (AutoCAD Color-dependent Plot Style Table) file comes in, since it enables the user to assign a line weight property to each color present in the drawing. 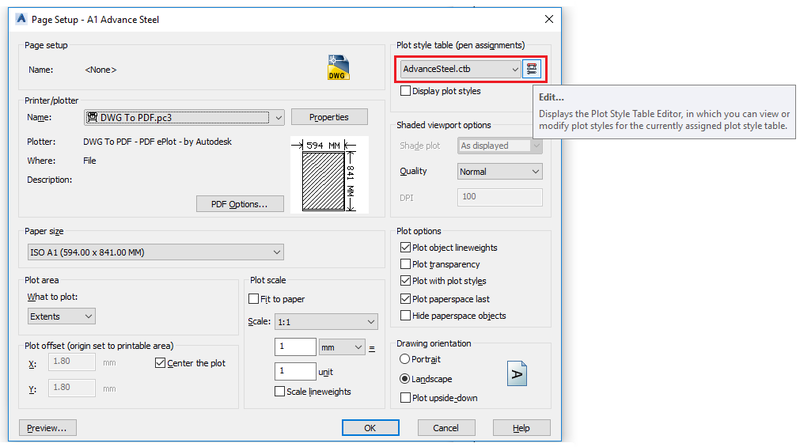 Note: The Page Setup dialog provides the option to control the way the current drawing is plotted, the setting being saved per DWG file. This can also be done directly in the prototype (using the same steps to access the Page Setup dialog), allowing Advance Steel to produce all the drawings using the same settings. - On the left side of the Form View tab dialog, under Plot styles, all the colors that can be mapped are listed. New colors from the DWG can be detected as well, if used. - After making all the changes, use the Save as command to name and save your customized plot style. Note 2: Related information: FAQ: Which colors will be used to display the elements in a drawing?